Wild rabbit meat, which is leaner and tastier than the farmed variety, has a fabulous subtle, gamey flavour. It is available throughout the year but you're more likely to find the best sized rabbits from July to December. Today rabbit meat is not very popular in Britain, perhaps in part because of its association with food shortages during WWII. It is appreciated much more elsewhere in Europe and appears regularly on the dinner table in Italy, France, Belgium, Spain, and Cyprus. Malta and Crete compete for highest rabbit consumption per head of population. Nutrition - Rabbit meat is relatively low in fat and high in protein. It is a good source of niacin, iron, phosphorus, and vitamin B12. Tips - Unlike much of Europe, rabbit is rarely seen in UK supermarkets, but is available from many butchers and farmers markets. Select rabbits by size; they should be large enough to yield a decent amount of meat, but not too large. Wild rabbits much larger than 1kg are prone to be tough. Younger, smaller animals will be more tender and better suited to quick cook methods such as roasting or barbecuing. Larger, older rabbits will have more flavour but may be less tender and so better suited to slower cooking. Storing - Fresh rabbit will keep in the fridge for several days (or longer if vacuum packed). Freezing is not recommended as this can make the meat too dry. 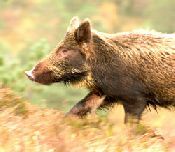 Wild boar is lean meat that should, as a rule, be cooked at lower temperatures than other meats. Avoid overcooking. Wild boar, raised like beef, is range fed and therefore can be served on the rare side. A rule of thumb for cooking wild boar is "low and slow". The temperature for cooking roasts for example, is 250-275 degrees Fahrenheit. The amount of time depends on your personal preference as to how well done you would like to cook your meat. For chops, bake with a sauce for best results or if you prefer, pan-fry at a medium heat. Always check frequently so as not to overcook. Wild boar is excellent barbecued. When prepared properly it is flavorful and very tender. Wild boar also makes tasty sausage, jerky and ground meat products. Tips - When preparing wild boar for cooking remember, never thaw or cook this meat in a microwave, as it will become very tough and dry. Slowly thaw meat the day before and marinate overnight for best results. Pineapple juice or wine is a particularly good choice for marinade because it contains an enzyme that actively breaks down muscle fibre. Therefore it is highly effective as a meat tenderiser. The wild boar’s light fat layer can be easily trimmed. But many cooks believe the fat layer provides a "self-basting" element and helps retain succulence. Trout is a relative of the freshwater salmon and is native to Britain. Although its appearance varies, it's typically brownish with rusty red and black spots. It lives in brooks, rivers and lakes, and the saltwater variety, the sea trout, is found in coastal waters throughout northern Europe. Good brown trout needs little flavouring and is ideal poached, grilled or barbecued. Nutrition - Trout is an oil-rich fish and is a valuable source of omega-3 fatty acids, which can help prevent heart disease. It's also a good source of protein. Preparation - Look for trout that are glistening and clean smelling - they should not smell of fish at all. If you're after whole trout, look for bright red gills and shiny skin. Ask your fishmonger to bone the fish; trout don't need scaling. Tips - Don't overcook trout - it tastes far better if slightly underdone. If you leave the head on, then when its eyes turn white you know it's done to perfection. This distinctive vegetable that thinks it’s a fruit, has become a culinary media star over the last few years, as top-named celebrity chefs put rhubarb on the menu. Traditionally grown by candlelight in darkened sheds, the slender, tender stems of champagne rhubarb provide a brilliant splash of colour during the dark winter days of January and February. Outdoor rhubarb appears around April. Nutrition – rhubarb is a good source of fibre with moderate levels of vitamin C and calcium. Tips – always choose plump, firm stalks with a good colour. Fresh rhubarb will keep in the fridge for 1-2 weeks. Raw and cooked rhubarb freezes well. Vanilla and ginger are both perfect flavours to compliment rhubarb. Preparation – trim both ends of the stalks and make sure to discard the poisonous leaves. 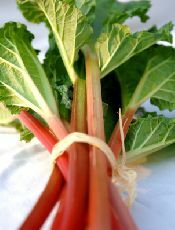 Forced rhubarb requires only very gentle cooking – add a splash of water or orange juice, and cook gently in a covered pan, or in the oven. Outdoor rhubarb is very tart and will need plenty of sugar. There are many types of cabbage in North Yorkshire and winter brings the Savoy, white and green varieties. Cabbage is excellent shredded and eaten raw in salads. Nutrition- Cabbage is packed with vitamins, is high in iron and potassium, and very low in calories. Tips – If your cabbage has a heart, remove the outer leaves and cut it into quarters and then slice it into thin shreds. Pop these in a colander and rinse thoroughly. After washing, there will be enough water clinging to the leaves to allow it to cook in its own juices in a covered pan with some butter, goose fat or oil – whatever takes your fancy. Preparation – The briefest cooking methods, such as steaming or stir-frying, are best. Overcooked cabbage releases sulphur, which is not easy on the nose and doesn’t inspire the palate! The peppery flavour gives away the fact that watercress is a member of the mustard family. It is a wonderfully traditional salad ingredient and is a nice change from Mustard and Cress in an egg sandwich. If you pick you own wild watercress make sure it is growing in clean fast flowing water – if there is a chance the water might contain sheep droppings, leave the cress where it is! Nutrition – Watercress is rich in vitamins A, C and K and also in calcium. It also contains iron, but you would have to eat loads of it to get your daily iron ration. Tips – Eat within 24 hours to enjoy watercress at its best. Steer clear of wilting, yellowing cress – it’s past its best. Preparation – Try chopping the watercress finely and mix it with butter to serve with grilled fish of your favourite meat. You can even puree it and use it as a sauce. Hot or cold watercress soup is a winner all year round. The North Yorkshire asparagus season is sadly very brief, lasting approximately six weeks from the official start of the season on 1st May , The asparagus seasons leads us very gently from spring into summer. Asparagus is a member of the Lily family and unusually has no leaves. White asparagus can also be grown by keeping the growing shoots hidden from light under the soil. The green variety which is popular in North Yorkshire has a delicious flavour. Nutrition – Good news for all mums to be - asparagus contains more folic acid than any other vegetable available. It is also a good source of fibre, potassium and vitamins A & C.
Tips – The buds should be tight, the spears a good even colour with a firm appearance. Asparagus is best served neither hot nor cold, but tepid and dressed with vinaigrette. It is best eaten on the day of purchase, but store it in the fridge with a damp paper towel wrapped around it, and it will keep for a couple more days. Preparation – Wash in cold water and snap off the bottom ends – they will break at a natural point. Cook the asparagus with its feet in water and its head in steam, or alternatively you can griddle the spears with butter. The misnamed Jerusalem artichoke has no real link with Jerusalem, and isn't related to other artichokes. It looks a bit like a knobbly pink-skinned ginger root and has a sweet, nutty flavour, reminiscent of water chestnuts. Although not widely used (perhaps because of its awkward appearance or anti-social effects - see Nutrition), it is an inexpensive and versatile food that can be used both raw and cooked and makes a delicious soup. Like potatoes, Jerusalem artichoke can be served with or without the skin - scrub clean and leave it on for maximum nutritional benefit. Nutrition - Jerualem artichokes are very rich in inulin, a carbohydrate linked with good intestinal health due to its prebiotic (bacteria promoting) properties. These health benefits come at a price; the food can have a potent wind-producing effect. Jerusalem artichokes also contain vitamin C, phosphorus and potassium and are a very good source of iron. Tips - Roots should be free from soft spots, wrinkles or sprouting. Knobbles and uneveness are unavoidable (and not indicative of quality), but smoother, rounder artichokes are easier to prepare. Storing - Jerusalem artichokes will keep for a couple of weeks in the fridge. The first green gooseberries are available from Late May to Early August, they are quite tart in their flavour and so are rarely eaten raw. The dessert gooseberries (often red in colour) arrive later in the season and as they are sweeter, can be eaten raw or in fruit salads. The Yorkshire-based Egton Bridge Old Gooseberry Society, near Whitby, and founded in 1801, hold an annual Gooseberry Contest on the first Tuesday in August to find the biggest and tastiest gooseberry. Nutrition - Gooseberries are a good source of fibre and vitamins A and C.
Tips – Always make sure gooseberries are firm and undamaged. Firm cooking gooseberries will keep (unwashed) in the fridge for up to 2 weeks, and they also freeze well. However, the softer dessert gooseberries are less durable and will only keep in the fridge for 2-3 days. Gooseberries are rich in pectin which makes them ideal for making jams, chutneys and jellies. Gooseberry sauce is a great accompaniment to mackerel and also deep-fried camembert wedges. Preparation – For any dish that requires the whole berry, the gooseberry will have to be top and tailed using a sharp knife. If they are being used for jellies, there is no need to trim them. Gooseberries can be used in a wide variety of ways – but gooseberry pies and tarts are a traditional favourite, especially if served with good thick custard. 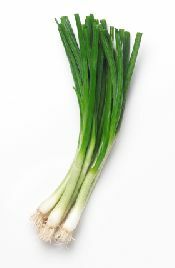 Spring onions are simply white onions harvested at a young age. They belong to the same family as garlic, leeks, shallots and chives, but are less likely to make you cry! Nutrition - Good source of vitamins B and C, folate and fibre. Onions are relatively high in flavonoids, an antioxidant that is thought to protect against cancer and heart disease. Tips – Choose clean steams with firm white bases, any sliminess indicates they are not fresh. The thinner the spring onion, the milder it will be. Young spring onion tops are an excellent alternative to chives. Preparation – Chop off the roots and remove the topmost part of the green, then use whole or sliced in salads. They can also be used in stir-fried dishes and are the perfect partner to ginger in many oriental style sauces. Spinach does not always get a great press but if you go for young leaves they are better, as older leaves can be tough. Spinach has a distinctly earthy flavour; the leaves can be enjoyed on their own as a vegetable or a salad, or they can be incorporated into a wide range of dishes. Spinach is ideal to grow at home, but can always be found in good farm shops or Farmers Markets. Nutrition – A wonderful way to get vitamin A, C and K along with iron and calcium. Spinach doesn’t stop there, and provides potassium, magnesium and manganese too. Tips – Go for lovely deep green leaves without blemishes, insect damage, or heaven forbid, slime. Keep it in a cool place and use within a day or so of buying or picking it. Preparation - Always use more leaves than you think – spinach cooks down to a shadow of its former self. Wash the leaves very carefully using several changes of water to be sure you remove all the soil, and shake it dry. Cut out any tough ribs and only cook it very lightly. Spinach is delicious with butter, cream and spices. Radishes are in season from April to September, but are often available outside of this period. In the UK, radishes are usually red and smaller than a golf ball but in Japan they can also be black or white and up to 18 inches long. Radishes are well known for their peppery taste and are traditionally considered as a salad ingredient or garnish. 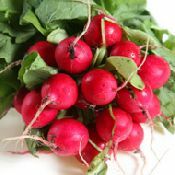 Nutrition - Radishes are rich in vitamin C and folic acid, whilst being very low in calories. If you've got radishes complete with leaves, then handle them carefully as some people's skin is sensitive to radish leaves and it can cause a slight irritation. Tips - Choose radishes that are firm, not wrinkled. If possible, choose them before the leaves go limp. Keep them in the fridge for 3-5 days. If growing them at home, it's better not to pick them until you need them and unless you're going to use them the same day, don't store them with the leaves on. The leaves take moisture from the radish roots and will dry them out, as well as going limp themselves. Purple sprouting broccoli was initially cultivated by the Romans. And whilse Broccoli has been grown in the UK since the early 18th century, the purple sprouting variety has only risen to prominence in the last 30 years. Broccoli is a cruciferous plant, in the same family as the cabbage, and is closely related to the cauliflower. Nutrition - Cruciferous foods are now hailed as having a number of important health benefits. Purple sprouting broccoli contains the phytochemical sulphoraphane (thought to help prevent cancer) and may provide resistance against heart disease, osteoporosis and diabetes. It is packed with vitamin C and is a good source of caretenoids, iron, folic acid, calcium, fibre and vitamin A. Tips - Purple sprouting broccoli is especially good when young and tender. Look for darkly coloured specimens with crisp stalks, no bigger than 1cm in diameter, which snap cleanly when broken. Avoid bendy broccoli. Preparation - Split thicker stalks about halfway up so that they cook at the same time as the heads. Steam, stir-fry or boil in a small amount of water. The tasty leaves are edible and so do not need to be removed! Potato varieties are classified according to their growing season, and new potatoes are taken out of the ground earlier in the year than the other in the crop (which are known as ‘maincrop’ potatoes). New potatoes are planted from January to March and can be harvested as early as mid April. All the varieties vary in texture, taste and flavour. Nutrition – Potatoes are an excellent source of low fat energy for your brain and body. However, they also provide substantial proportions of a whole range of important nutrients: Fibre, Vitamin C, potassium, Vitamin B1, B6, Niacin and Folate. Tips – Freshly dug new potatoes are the best. The skins should rub away easily if they are fresh revealing a ‘tight’ skin underneath. Do not buy if the skins feel dry and wrinkly, or if they are beginning to sprout or turn green as toxins may have formed under the skin due to their exposure to light. New potatoes are best eaten fresh, but they can be stored in a cool, dark, airy place for a few days. Preparation – Only just cover new potatoes with water when boiling, and drain as soon as they are ready. Add mint towards the end of boiling new potatoes for a delicious healthy alternative to butter. They can also be steamed, and are delicious eaten hot or cold, served as an accompaniment to any main meal, or added to salads. Parsnips are a much-loved root vegetable and grow well in Britain. They actually improve with a frost. Nutrition – A rich source of vitamins C and K and also the mineral manganese. Tips – For a healthy treat deep-fry thin slices in a light vegetable or sunflower oil to make parsnip crisps, which can be used as a contemporary garnish or a moreish snack. 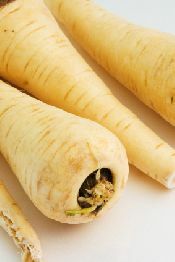 Parsnips should be scrubbed, not peeled, as most of the flavour lies directly below the skin. Preparation - Parsnips are very versatile and can be cooked in much the same way as potatoes. They are delicious par-boiled then roasted until they caramelise golden brown, or mashed with cream, braised or steamed They also make wonderful, creamy soups and partner well with apples, spices, ginger and cheese. They often have a tough core which you may prefer to discard. One of the most versatile (and cheapest) vegetables around. They have a fabulous crunchy texture and are available most of the year. There are several varieties of carrots including Parisienne which is a short, stumpy carrot that has a lovely, sweet flavour and Chantenay which is more conical in shape but has a very concentrated flavour. Nutrition - Raw carrots are an excellent source of vitamin A and potassium; they contain vitamin C, vitamin B6, thiamine, folic acid, and magnesium. Cooked carrots are an excellent source of vitamin A, a good source of potassium, and contain vitamin B6, copper, folic acid, and magnesium. Tips – Carrot soups can be flavoured with orange or mint. They are also very well complimented by herbs – in salads use mint, chives, parsley, coriander or basil, or add an oil and lemon vinaigrette dressing to grated carrot for a delicious side salad. Sweet main-crop carrots make a lovely moist carrot cake, and can also be used in pies with lots of spices (similar to pumpkin). They can be stored in a cool, dark, dry place for up to a week. Preparation – New carrots just need scrubbing before cooking, but main crop carrots will need peeling properly. 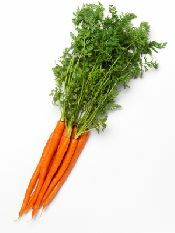 Both new and maincrop carrots are delicious raw, with maincrop being especially sweet. They can be boiled, steamed or braised in stock or butter and served as an accompaniment to any main meal. They are also perfect for adding to stews, casseroles, soups etc. North Yorkshire Lamb is hard to beat. From the Dales to the Moors, lamb fed on the sweet, succulent grass is particularly delicious. The majority of lamb sold is aged between four months and one year old. After it reaches the ripe old age of one, the meat is referred to as mutton which is a darker meat and has a stronger flavour. Mutton has recently undergone a bit of a renaissance, and is now a sought after meat. In springtime, lamb is at its most tender and is fantastic for roasting. Nutrition – lamb is a good source of zinc, iron and B vitamins. However, for those of you counting the calories, beware! It is also high in both saturated and unsaturated fats. 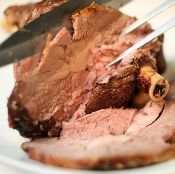 Tips – Buy your lamb from one of the excellent North Yorkshire butchers,local farm shops or farmers’ markets so you can ask where the meat originated from. If you like it, you will then know where to buy the same quality produce again. Look for firm, pinkish meat with creamy white fat. Lamb can be kept in the fridge for a couple of days. Preparation – Cooking lamb depends greatly on the cut. As a general rule, lamb prefers slower cooking which then gives it that fantastic tender texture, but if you do choose a dry heat method, always serve it slightly pink for more moisture and flavour. As lamb can be quite fatty, always trim before cooking. North Yorkshire has lots of pig farms and many are producing free range, rare breed pork. What better sight is there than a plump porker rooting around the fields! The Great Yorkshire Show is a wonderful place to see the county’s finest pigs. Nutrition – A great source of protein and vitamins B6 and B12. Tips – Avoid any meat that looks damp, clammy or with oily, waxy looking fat. 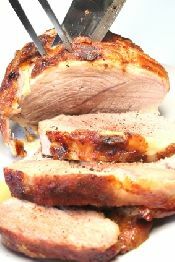 Preparation – You can eat everything apart from the squeak, so pork is amazingly versatile. Chose a method of cooking to suit the cut. Pork is traditionally eaten with apple sauce, but other fruits are wonderful too. Try it with plumped up dried apricots or pears. North Yorkshire can boast some wonderful beef herds and you only need to visit The Great Yorkshire Show to see the fine specimens we breed here. Dexter Beef is a particular speciality. Its dark red / brown meat has the traditional taste of ‘how beef used to taste in the good old days’. The fine grained meat is well marbled with creamy yellow fat, that disappears in cooking, leaving a tender moist joint. Farm reared Dexter beef can be found at Farmers Markets and farm gate sales. Look out for it, it is well worth searching out. Nutrition – Beef is high in protein and also delivers vitamins B6 and B12. Tips – Beef is better if it has been given time to mature, so don’t buy the bright red stuff! Preparation – There are as many ways to cook beef as there are different cuts. But as long as you have chosen good quality meat, you can’t go wrong. Recipes vary from the traditional Sunday roast through to many exotic dishes, so go on, be brave and try something new today. North Yorkshire can boast some wonderful beef herds and you only need to visit The Great Yorkshire Show to see the fine specimens we breed here. Mushrooms, the plant of immortality? That’s what ancient Egyptians believed according to the hieroglyphics of 4600 years ago. The delicious flavour of mushrooms intrigued the pharaohs of Egypt so much that they decreed mushrooms were food for royalty and that no commoner could ever touch them. This assured themselves the entire supply of mushrooms! Fresh mushrooms are truly a cook's best friend. Whether you need just a little something to dress things up or add a whole new dimension of flavor, your answer is mushrooms. Nutrition - Mushrooms are low in calories, fat-free, cholesterol-free and very low in sodium, yet they provide several nutrients, including riboflavin, niacin and selenium. Tips - Mushrooms are very similar to meats and other vegetables. Virtually any and all seasonings go well with mushrooms. If serving as a side dish, use seasonings compatible with the main dish. Preparation - Brush off any dirt with a damp paper towel or fingers. Rinse fresh mushrooms only briefly under running water and pat dry with a paper towel. Never soak them, as they absorb moisture. Trim the end of the stem before using. Like onions, leeks and chives, garlic is a member of the lily (or allium) family. The head is comprised of 12-15 cloves, each encased in papery skin. It's practical health benefits include lowering blood cholesterol and antiseptic properties. 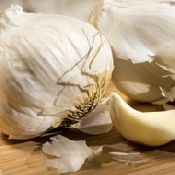 There are several recipes in which garlic takes centre stage rather than a supporting flavouring role -­ perhaps most famously French chicken roast with 40 cloves of garlic. Garlic soup has a surprisingly soft sweet-savoury flavour yet uses around half a head per person. Varieties - What most people think of as fresh garlic is actually a dried bulb. There are hundreds of varieties varying in degree of pungency, skin colour (pink, white, purple), and clove size. Fresh, 'spring' or 'wet' garlic is lifted from ground before the bulb matures and looks like a curvaceous leek.­ The green portion rising above the ground is also edible. Look for it in speciality greengrocers and farm shops in June. Elephant garlic is very large but milder than regular garlic. Preparation - Remember that the more garlic is crushed or chopped, the stronger it will taste. Many people find garlic presses or crushers convenient, however some claim they alter the flavour of garlic; they are also difficult to clean. For recipes that require whole garlic cloves, you can either cut away the dry nub of the clove and peel off the skin, or (if you need many cloves) blanch the garlic in hot water, after which the skin comes off easily. If you are serving the garlic raw, cut the clove in half and remove any central green germ as they have a powerful taste and can cause digestive problems. If green shoots are sprouting from the whole head, throw it out. Kale has more nutritional value per calorie than almost any other food. It is also one of the hardiest members of the cabbage family and can withstand frosts, so is ideal for growing in your vegetable patch or on allotments throughout North Yorkshire. It is a sprouting plant (i.e it has no heart) and curly leaf kale is the most commonly available. Nutrition – Kale is really high in vitamin A and vitamins C and K and it also delivers potassium and manganese. But the real beauty is it has no fat or cholesterol. A real winner. Tips – The leaves are quite tender so steam rather than boil. Preparation – The distinctive flavour of kale is best teamed up with other strong flavours such as garlic, bacon and cheese. In North Yorkshire lots of people call swedes turnips and they are largely interchangeable in recipes, but there is an easy way to remember the difference – Swedes have pale orange flesh (think of red headed Vikings from Sweden!) and the good old turnip has creamy white flesh. Nutrition – A good source of Vitamin A, C and fibre. Tips – With swedes big is not always the best! Go for the smaller ones, which are less likely to be woody inside. Preparation – Swedes can be peeled and roasted alongside a joint of meat or used in soups or casseroles. Mashed swede with lashings of butter or cream and with nutmeg and a little ginger is a delicious accompaniment to Winter dishes. French Beans, sometimes known as green beans, fresh beans or haricots verts, also come in white and purple. 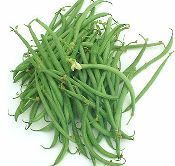 When eaten young, with small inner beans, they are crunchy, sweet and delicious. When more mature, they provide dried beans, a valuable source of protein. It is believed that "French Beans" originated in Peru and didn't reach Europe until the 16th Century. Nutrition - All colours are a good source of vitamin A, vitamin C, vitamin K and manganese. Tips - Choose beans while they're still firm, rather than limp and rubbery. Thinner beans are more popular for eating with the pod than larger beans. If your pods are too large, you might not want to eat them as they can be tough and stringy. In this case, just cook the beans instead. Cooking - Top and tail the beans and then boil for 5-8 minutes, until tender. Serve as they are as a side dish or toss in a little butter or olive oil and sprinkle with flaked almonds! Free range chickens can be found at Farmers Markets throughout North Yorkshire and are truly delicious. Nutrition – A good source of protein. Chicken also has some vitamin A, B6 and B12. Tips – Don’t get stuck in a roasting rut! There is no shortage of ideas and types of chicken so let your imagination go wild. Preparation – Chicken can be roasted whole or cooked in portions, or cut up and used in stews or casseroles. Let’s not forget the heart warming and nutritious chicken soup! Because of the mild flavour of chicken almost any ingredients complement it, so choose your favourite flavours. Elegant and tasty. North Yorkshire rural shows are a great place to look for competitions to find the longest leeks in the county. However, normal sized leeks are best for cooking. 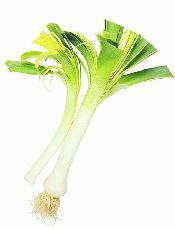 Leeks can be used in soups, salads and stir fries. Home-grown or organically farmed leeks have a beautiful flavour, but will need cleaning more carefully as soil can get lodged between the leaves. Nutrition - A flavoursome source of vitamins A, C and iron. Tips – Watch out for the woody cores that can sometimes develop in older leeks! Preparation – Leeks go so well with any meat but especially poultry and fish. They are delicious in cream, cheese or butter sauces. Easy to grow and widely available throughout North Yorkshire, onions have a great history and give flavour to so many dishes. Onion juice is reputed to be a good cold cure, it will certainly make people keep their distance! Nutrition – High in vitamin C.
Tips – When you are frying onions, don’t chop them in a food processor – this releases too much moisture and the onions steam rather than fry. Also when adding onions to the stock pot, drop in a piece of the inner brown skin because this will give a lovely warm golden colour, (but beware, if you overdo it you could get a bitter taste). Preparation – Try cooking onions slowly with red wine, raisins and herbs such as thyme or marjoram, they are delicious with a slow pot roast. Know your onions, as the cliché goes — and it’s valuable advice. Did you know, for instance, not to add salt to onions if you want them crisp and brown, as it draws out their water and prevents them from browning? For soft, white translucent onions, add salt when you begin cooking. To know your onions is to know that these members of the lily family also vary greatly in strength of flavour and purpose. Red onions have a discernibly milder flavour than the papery-skinned white or brown globe onion, and so can be used for salads or antipasti and for dishes in which onions are briefly cooked. There are also sweet yellow onions with a slightly flattened bulb and a more delicate flavour, and small, white pickling onions, picked early in the season. The russet-coloured shallot has a lovely onion-garlic flavour with more sweetness and less sting, so is ideal for vinaigrettes, salads and fast-cooked dishes. Drivers can be forgiven for being distracted - herds of buffalo are not what motorists expect to see in rural North Yorkshire. And yet more and more farmers are diversifying into unusual and rare breeds. Buffalo meat is similar in taste to high quality beef, having a fuller flavour than conventional modern beef. Nutrition - It is between 40-60% lower in cholesterol and has half the calories and a third less saturated fat than beef. It contains higher levels of protein and minerals and is a rich source of B vitamins and iron. Preparation - Generally speaking Buffalo meat can be treated like beef but especially when cooking steaks it needs to be treated gently. Cook the steaks slowly on half to two thirds full heat, or the meat will toughen up. This is due to the meat's natural leanness and lack of intramuscular fat. Joints should be cooked until done, which generally means around 170 degrees centigrade for around 30 minutes per half kilo and another half hour for the joint. Caught off the stunning North Yorkshire coast in the summer months, this seasonal treat is delicious and delicate. Otherwise known as salmon trout, because like salmon, they are migratory, Sea Trout feed in the sea and return to the rivers to spawn. It is slightly less streamlined than a salmon and has a longer jawline. It is silvery grey in colour with black or reddish spots and pink flesh from its diet of shrimps and other pink-fleshed crustaceans. Nutrition – Sea trout is a good source of omega-3 essential fatty acids, which are linked with reducing the risk of heart disease and some cancers. Tips – Buy the sea trout fresh from your local fishmonger and eat on the day of purchase. Or better still, at the end of a day trip to the Yorkshire coast, bring a fresh sea trout home on ice, for the perfect summer treat. A bronze tinge to the skin is a sign of a quality, fresh fish. 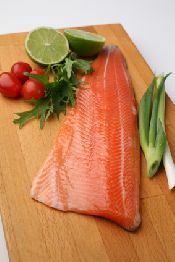 Preparation – Sea trout should be cooked very simply, so as not to spoil its delicate flavour, but can be used as a substitute for any trout or salmon recipe. Broad beans are the oldest of all our beans, dating back to stone age times. Mystical beliefs were that broad beans, when offered in marriage ensured the birth of a baby son. And these kidney shaped beans were important enough to warrant the death sentence for their theft from open fields. In the past the broad bean was a staple food of the poor and often roasted and ground to make flour, but equally enjoyed by the rich, who served it with sumptuous rich sauces. With no class distinction food like this can be used as frugal or as fancy as one prefers. Nutrition - Sadly they are a neglected vegetable, as this wonderful hard little bean offers such a robust flavour and is highly nutritious; full of phosphorous, vitamin A and C and is notably rich in protein. 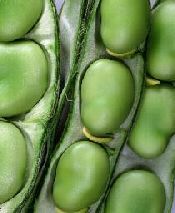 tips - The time to enjoy home grown broad beans is during the months of May, June and early July. The pods should be pale green and feel soft and tender. The beans need to be eaten within a couple of days of purchase and stored in the refrigerator, otherwise the carbohydrates in the beans turn to sugar which in turn changes the flavour of the bean. They do however freeze very successfully if frozen soon after gathering, then shelled and placed flat on a tray. Young beans can be cooked whole, rinsed and boiled for no more than 5 minutes. As the beans become older they develop quite a tough outer skin. The easiest way to tackle this is to boil the beans lightly, then remove the skin when cool. The beans can then be added back to boiling water or steamed, whatever cooking method is preferred. Serving - The classic accompaniment to the broad bean is parsley sauce or mixed with a salad with the summer savory herb. There are many other ways in which to use the beans, try adding them to soups, pasta or rice dishes. Beetroot is a very distinctive looking vegetable with its ruby-red colour and is often overlooked, as many people have only ever experienced the crinkle-cut variety which is steeped in overpowering vinegar. However, beetroot can be served raw or cooked and is very versatile. Nutrition - Beetroot has a higher sugar content than most vegetables. It is rich in vitamin C, fibre, potassium, magnesium, manganese, and folic acid and the leafy tops are an excellent source of beta-carotene, iron and calcium. 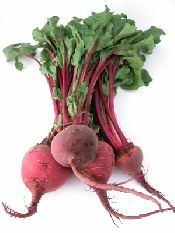 Tips – Young beetroot tops can be cooked and eaten as a green leaf vegetable. Beetroot is often sold ready boiled, but you can also buy them raw and cook them yourself. Cooked beetroot should last 3-4 days in a fridge, and uncooked beetroot should be stored in a cool, dark place. Raw beetroot can be peeled and grated and mixed with salad dressing and leaves to create a colourful winter salad. Preparation – Ensure the beetroot roots are not damaged and the skin is intact. Cut off the leaves about 2in from the root – this will ensure the beetroot doesn’t ‘bleed’ whilst cooking and will help retain its colour. Boil them in salted water for 30-40 mins, then allow to cool before rubbing off the skins. Beautiful rainbow trout is farmed in fisheries across North Yorkshire, and for the sporting fishermen and women amongst you, it can also be caught in some of the County’s meandering rivers and reservoirs. For brown trout you may have to take up fly-fishing, but what a wonderful way to enjoy the countryside -and catch your supper too. The tender pink flesh has a mild and slightly nutty flavour. Nutrition – Trout is a really healthy choice. It is rich in omega 3 polyunsaturated fatty acids as well as full of vitamins A, B1, B2, B6 and B12. It also is supplies a healthy amount of iron, calcium and selenium. Tips - Trout is best cooked simply in a little water and wine, with a few herbs, so as not to mask its lovely flavour. If you are cooking brown trout then the simplest cooking methods are best. Preparation – Trout can be baked whole or filleted or smoked. Smoked trout pate is especially tasty. As the nights draw in what could be more tempting than to tuck in to mutton, arguably one of Britain's most forgotten and overlooked culinary gems. Mutton fell out of favour slowly over the years, partly due to the decline in the wool trade but also due to changes in tastes, time and meal habits — in 1930 the average meal took one and a half hours to prepare, its now twelve minutes and is set to continue to fall. But with the resurgence of interest in slow food and provenance, mutton is making a comeback with food lovers and chefs alike. And it richly deserves it too - highly prized in ancient times, mutton has a fuller, meatier flavour than lamb, with a firmer, but by no means tougher texture. So forget trying to dress it up as lamb and enjoy it for what it is. Totally different, totally delicious!